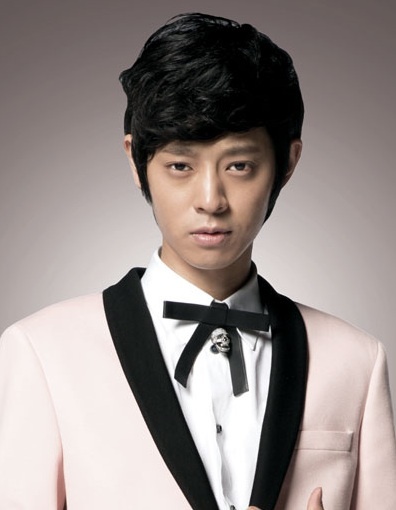 Jung Joon-Young took part in Mnet's musical program "Superstar K4" and finished in third place. Jung Joon-Young was born in South Korea. Due to his father's business, he moved to Jakarta, Indonesia as a child. He also lived in China, France, Philippines and Japan through his childhood and teen years. He moved back to South Korea at the age of 19 to pursue a music career. sayanginas Jan 16 2018 2:20 pm Have a beautiful life Joon Young-ssi, stay healthy. It's really nice for me just to see your smile, live happily. Ealizhbath May 08 2017 6:43 am I always watch 2D1N.hope you will join 2D1N forever Your very gentle,friendly,cute,handsome,funny,tall,and have perfect body,I always listen your song ?I like the way you outfit,every clothes you wear it look good on you fashionable.hope you release your new album, Good luck with you future Opp...love you ?? Tp Oct 21 2016 9:22 pm JJY is a genuine artist. Love him! 2hnea Jul 17 2015 10:46 am this guy played a very funny character in the lover.... i love you oppa. am from Nigeria but i fell in love with korean movies and i love many korean actors like lee min ho, yoona, iu, takuya terada , joon jae lee, jks, taechyeon, .etc.... i love you guys. fighting!!!!. Pocari Sweat Apr 28 2015 1:22 pm I saw him on 2 days 1 night and fell in love with his cleverness and luck! risa Apr 09 2015 9:55 am his voice really suit rock x) saw him on immortal songs 2 and he was really great. whystar Jan 29 2015 7:33 am <3 lovee you jung joon young amazing voice ... ROCK N ROLL BABY!!! lan anh Jan 05 2015 3:50 am He is just so cool. I can't keep my eyes away from him. Hannah Jan 05 2015 1:38 am I saw Jung Joon Young 2 months ago through Super star K4. I've never been a fan of any Korean entertainer. He caught my eyes. His smile, his voice, his attitude(sometimes childish) but still cute. I love everything related to him. Now, he sings beautiful songs as a rock singer, Becomes Simsimtapa DJ, and will debut as a movie actor. Don't forget to check his official video clips out at YouTube once you become one of his fans..you will fall in love with his charms. Sending love and luck to Jung Joon Young..
kim myoung ae Jan 05 2015 1:13 am . I saw the TV he was sing a song DJ DOC's Remember at the immortal music compotition in 7.13. 2013. I didn't forget his husky voice, his personal magnetism.Since then I have been loved Rocker Jung Joon Young. Chloe Jan 04 2015 9:45 pm He is a amazing rock singer with very attractive & husky voice. He has a whimsical sense of humor. Wishing him all health and happiness in 2015!! SF Jan 03 2015 8:59 pm I love Jung Joon Young~ Once you get to know him, you can find he is so enchanted.. His husky voice is one of my favorites about him. Cheer up!! MissK Mar 31 2014 10:21 pm I love you, your husky voice, your attitude, your character, your laugh and everything about you. I like how you are being yourself in WGM instead of trying to be romantic which I surely think does not suit you. I watched the episode on which you and Roy Kim sang the Becoming Dust song during Superstar K4, and believe me, it totally blew me away. It was very good and captivating. I would like to watch all Superstar K4 episodes unfortunately there are no english subbed episodes available. I will support you always. Keep rocking and keep being yourself JJY. Saranghae!! kiyotta_handa Dec 28 2013 10:45 am A rocker that have a charming husky voice and funny character ! DAEBAK !!! Lizzy Payne Dec 27 2013 10:16 am He's soo adorable in 1N2D ♥♥ and man his voice is so soulful and beautiful ! Keep the goos work Joon Young sshi ! Ji Hyun Nov 11 2013 6:21 am Joon Young was born in Jakarta and raised in China, Japan, Europe (England and France) and the Philippines. Gone Aug 28 2013 11:18 am Jung Joon Young was born in Jakarta, not in South Korea.